This Mother’s Day, what better time and place to spend “quality time” together than a Girls’ Getaway to Hayman, Australia’s celebrated private island destination in the Great Barrier Reef. 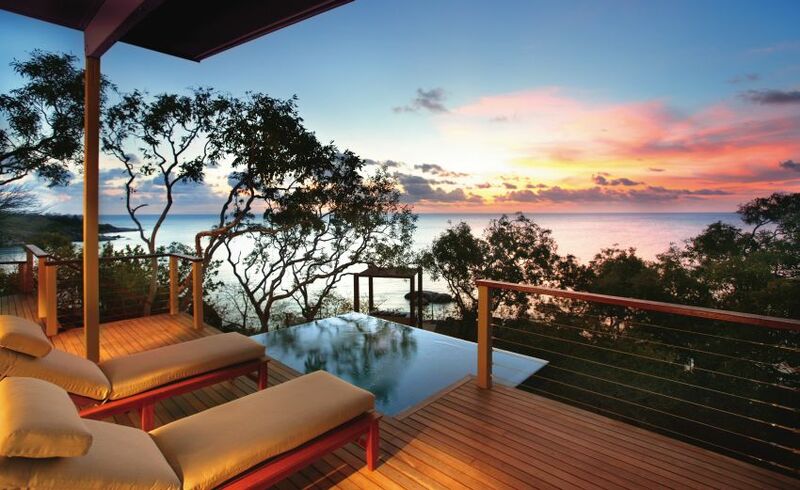 Hayman is Australia’s premier luxury nature-resort destination, located on the northernmost of the Whitsunday Islands in the Great Barrier Reef off the coast of Queensland. Hayman, a member of The Leading Hotels of the World, covers 726 acres offering guests an experience of tranquility and natural beauty in the resort’s 210 stylish accommodations. Spoil mom or a group of girlfriends with a special getaway, at the Hayman Spa as a celebration of Mother’s Day. Enjoy a complimentary 30-minute Refresher Facial when booking a 1-hour Massage or Body Treatment and a complementary 15-minute Makeup Touch-Up when booking at 1-hour Facial. In addition to Hayman Spa’s full range of pampering indoor and outdoor therapies and treatments, acclaimed yoga specialist Skye Baird from Skye LifeStyle will be conducting tailored yoga classes over Mother’s Day weekend. From May 10-13, the Hayman Yoga Escape offers a line-up of activities, including daily 90-minute yoga and 30-minute meditation sessions, leisure time and healthy dining. The three-night Hayman Yoga Escape is priced from $1425 per person twin share or $2160 single which includes accommodation, return launch transfers from Great Barrier Reef Airport, scheduled yoga and meditation sessions, breakfast and 3-course dinner. Situated within separate locations throughout the property, are the stunning new residences—all with access to the turquoise waters and access to the Reef. With four restaurants, Hayman Spa and fitness facilities, picturesque meeting and special event areas, and 24-hour butler and concierge service, leisure and luxury are offered in many forms throughout the island. There also will be plenty of time for wandering at a leisurely pace through the Hayman Arcade’s boutiques featuring a range of designer wear and accessories from leading Australian and international fashion houses, as well as a selection of fabulous Hayman branded merchandise. During each weekend in May, a glass of sparkling wine will be available in all of the outlets beginning at 3 p.m. while everyone looks for that special purchase to take home. 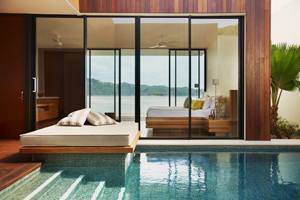 Packages are priced from $980 per person twin share including four nights’ accommodation and daily beachfront breakfast. Please contact event@hayman.com.au for further information.